The HSBC archives reflect the colorful and eventful history of HSBC and provide a fantastic resource for education and research. The Hong Kong specific archives are not just related to the bank, but also connected to many community shared narratives about Hong Kong’s development, economy and society in general. This long and rich heritage is captured in the form of paper records, currency, artwork, and objects, and provides a firm bedrock of research material for a wide range of research topics. 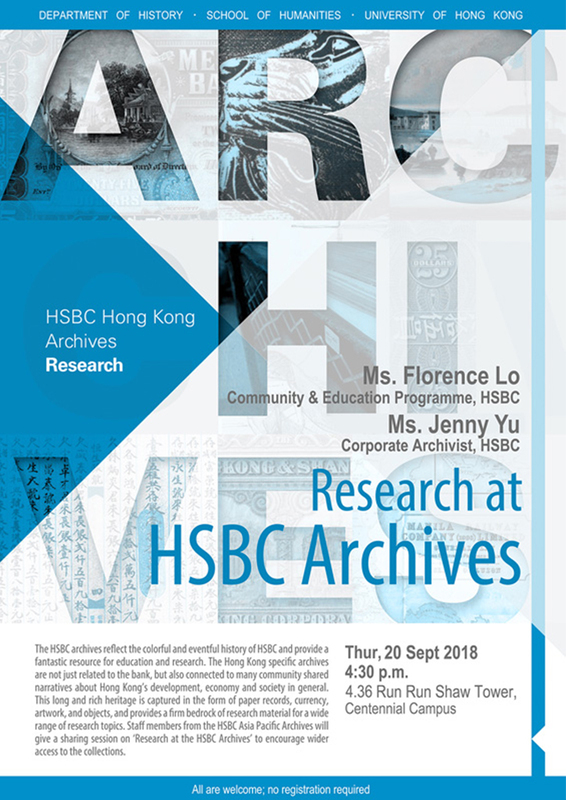 Staff members from the HSBC Asia Pacific Archives will give a sharing session on ‘Research at the HSBC Archives’ to encourage wider access to the collections.All are welcome. No registration is required.